Character Promos - Will Smith as Deadshot. Capped from the DC's 'Squad Up! 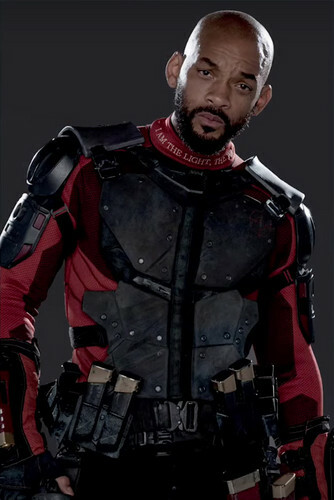 Cosplay Contest' video.. Wallpaper and background images in the Suicide Squad club tagged: photo suicide squad movie 2016 character portrait promo will smith deadshot floyd lawton. This Suicide Squad photo contains 가슴, 후원, egis, 가슴 판, 에이지 스, 갑옷, 방패, 이지스, 갑옷 접시, 갑옷 도금, 플레이트 갑옷, 판 갑옷, 갑옷 갑옷, 기갑 격판덮개, 기갑 도금, and 플레이트 아머. There might also be fauld, 불의의, brigandine, and 브리 간딘.